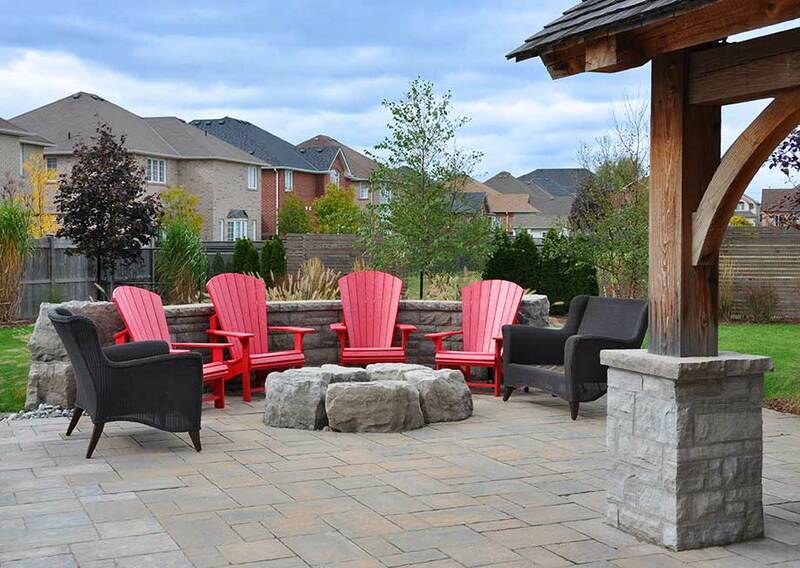 The Adirondack, or commonly called Muskoka Chair, offers an incredible variety of colour and design that pairs perfectly with any backyard layout or style. 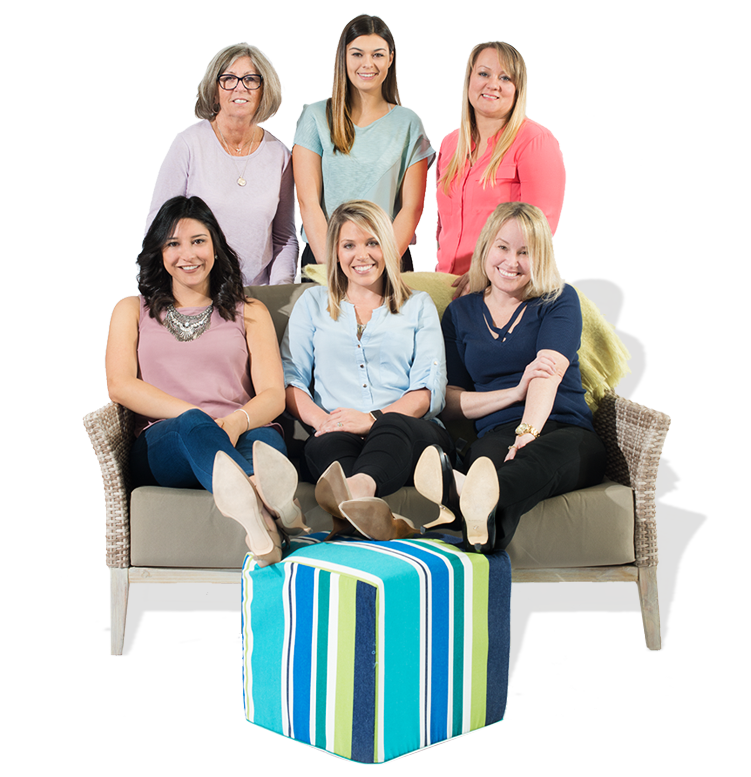 This Canadian made furniture is manufactured in Stratford, Ontario where the inventors devised these amazing recycled resin products. The product is so good that it was featured on Season 5 of Dragons Den where it grabbed the attention of the dragons and was able to secure a deal. The Adirondack collection comes in a wide variety of colour options including red, blue, white, yellow, chocolate, grey, and kiwi. Order a custom colour option, or choose from our stocking collection. 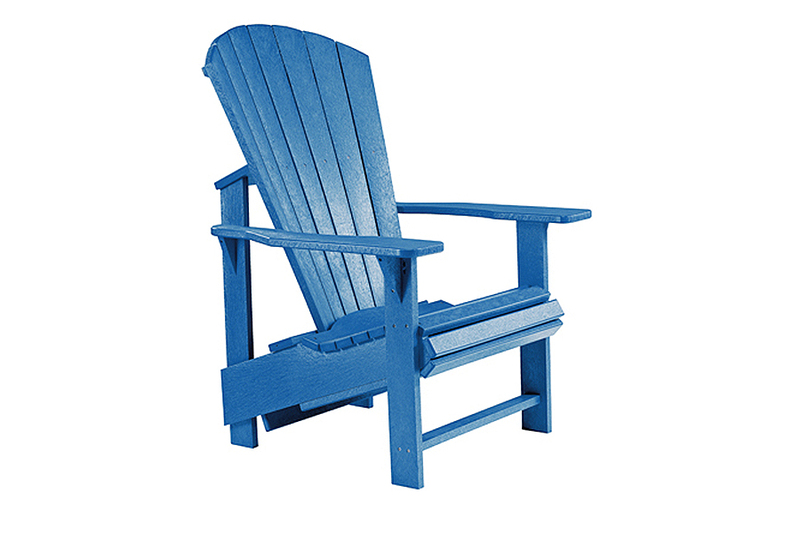 Available in Upright or Regular depth seating. This chair has been ergonomically designed with you in mind. 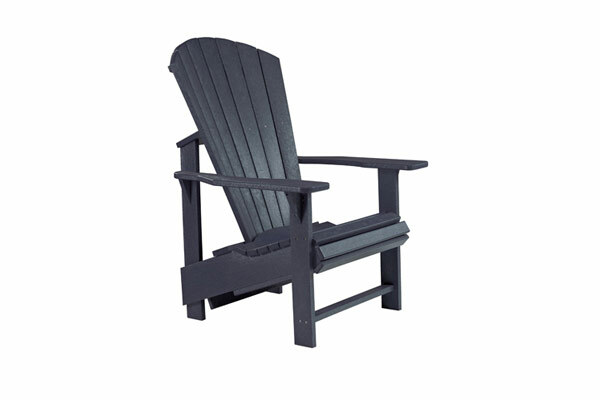 Our Adirondack sits deep with a contoured seat and back, for the comfort you would expect in an Adirondack Chair. Sporting the vibrant colour of a beautiful pool liner, the Addy Side Table in blue should be every pool owner's (or lover's) dream accent! Shaped perfectly to sit between two Adirondack chairs for a place to rest drinks and snacks. 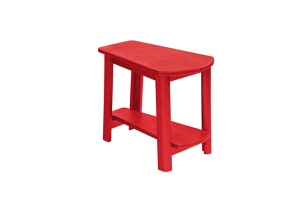 The Generation Line Addy Side Table in Red is a fun, timeless accent colour to add to your decor. Pair this side table with some Adirondack Chairs of any colour, or have to use as an extra table when needed! 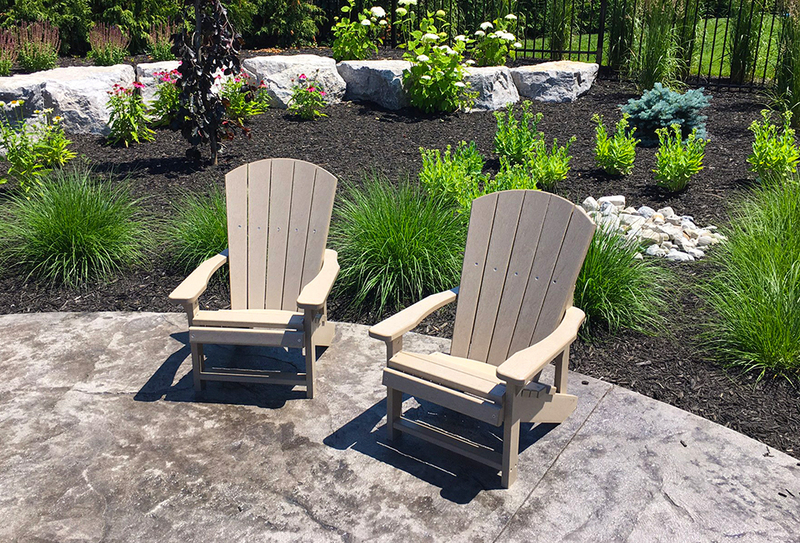 The perfect compliment to your outdoor Adirondack pieces as the curved table top of the Addy Side Table goes hand-in-hand with the chair style. 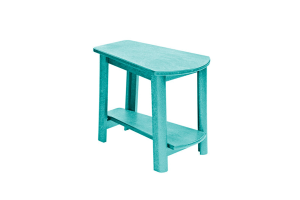 Available in 15 different colours, stocked in Turquoise for a pop of colour in your space. 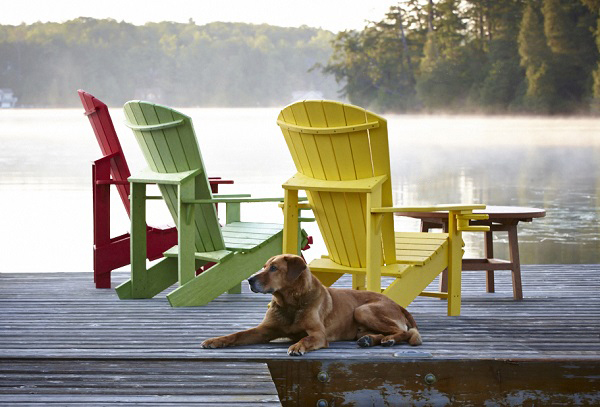 The Adirondack Chair is available in 13 different colours and two styles: Regular and Upright. Manufactured completely of Recycled Plastic, this chair is backed by a 10-year warranty. 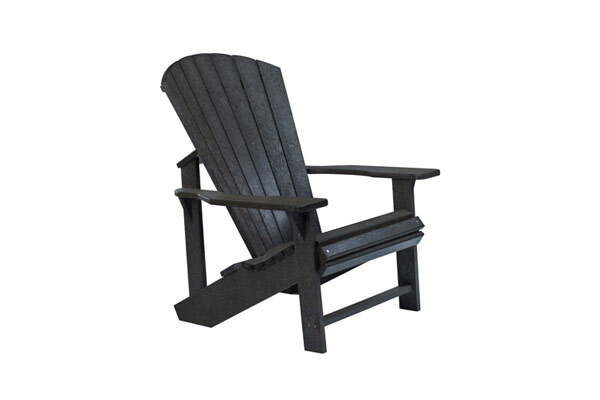 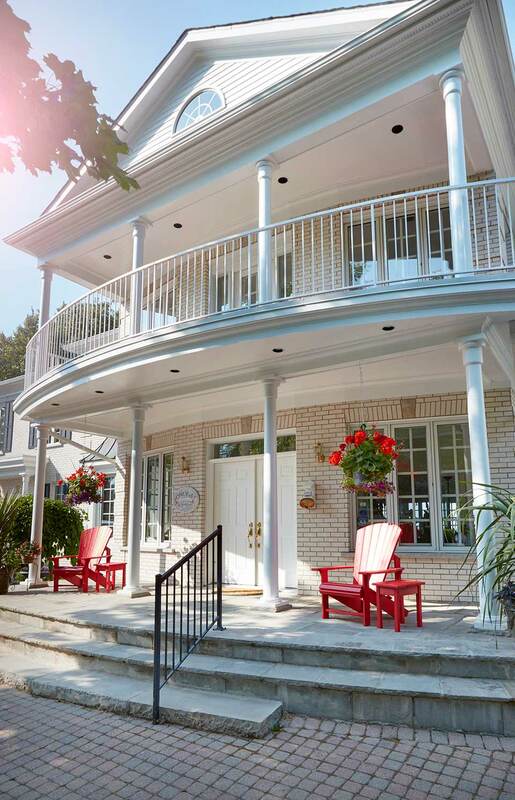 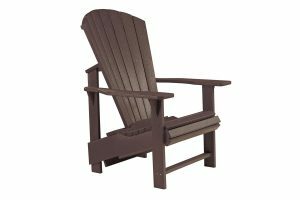 Choose the Regular Adirondack style with a contoured back for a relaxed and reclined feel. 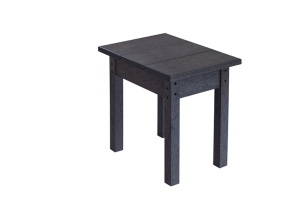 The Small Rectangle Side Table from CR Plastics is available in 15 different colours, including matte black! Pace this piece between two Adirondack Chairs for the perfect porch set. The Small Rectangle CR Plastics Side Table is available in 3 neutral colours: Black, Grey and Brown. 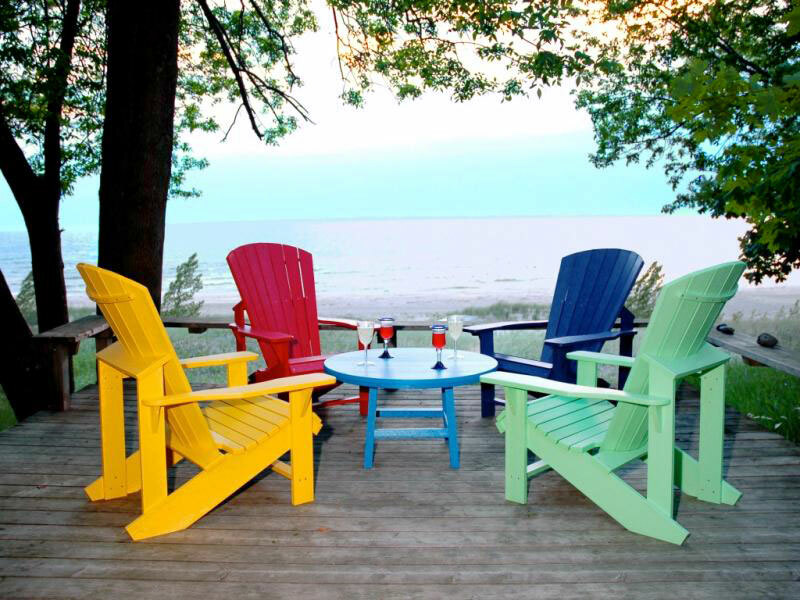 Compliment any brown wicker or bronze cast seating set with this traditional coloured piece. 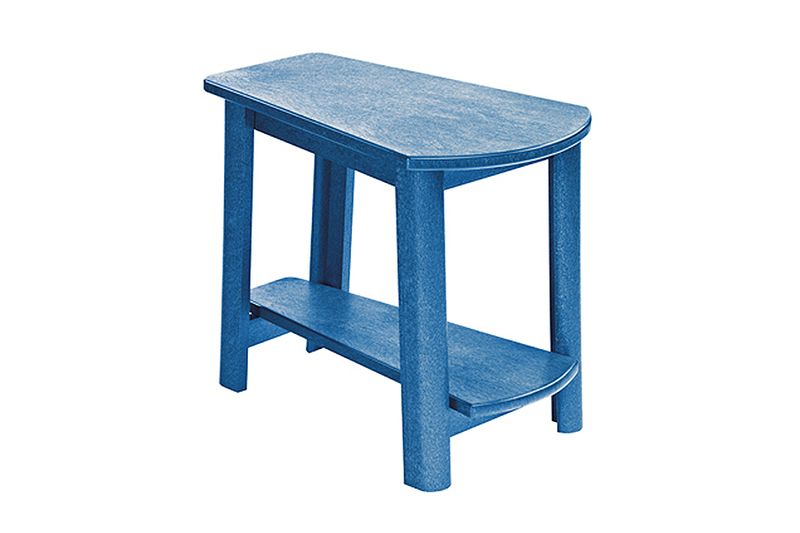 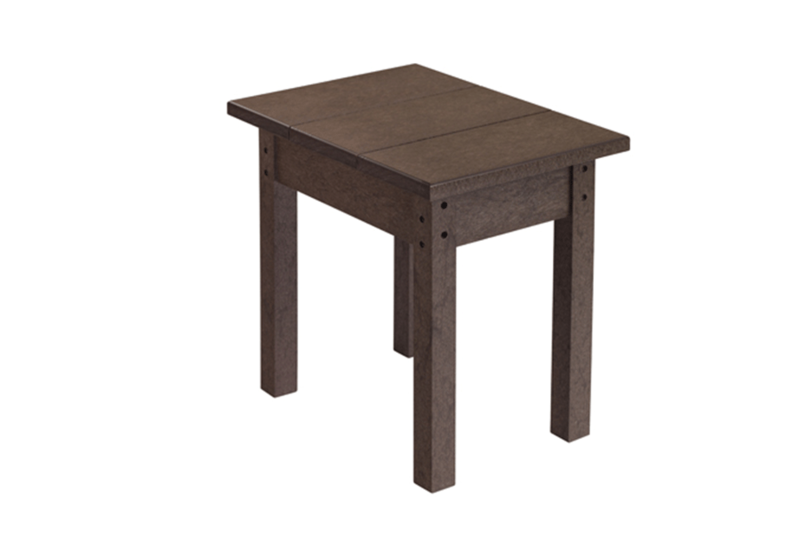 the Small Rectangle Side Table by CR Plastic Products is manufactured completely of Recycled Teak. 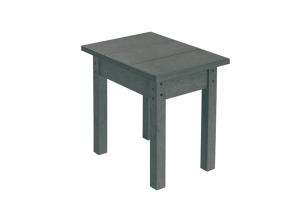 The Slate Grey finish is a popular colour that coordinates beautifully with out stocked Stratford Collection. The True North Adirondack Chair is a Canadian inspired chair made to look and feel exactly like the Regular Chair style. 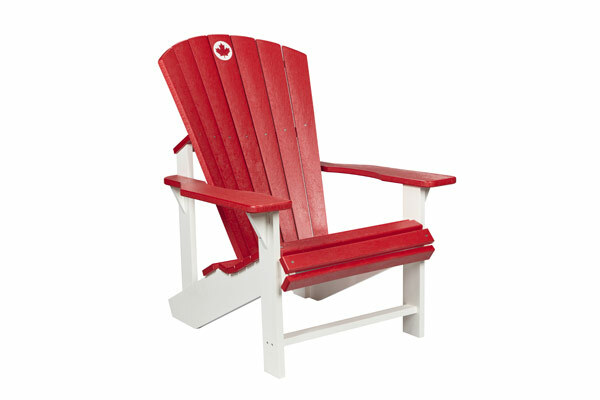 Showcase your Canadian pride and spirit all season long, especially on Canada day! 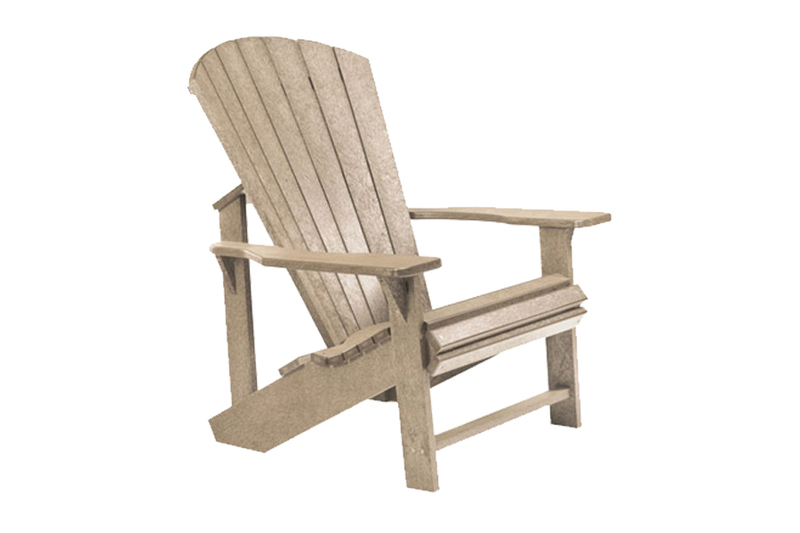 The Upright Adirondack Chair is identical in appearance to the Regular style, but with a few tweaks that it makes it easier to get in and out of for anyone who might have trouble. Primary examples include slightly high arms, as well as a raised seat and back.